***SHORT SALE - SOLD AS-IS, WHERE IS! 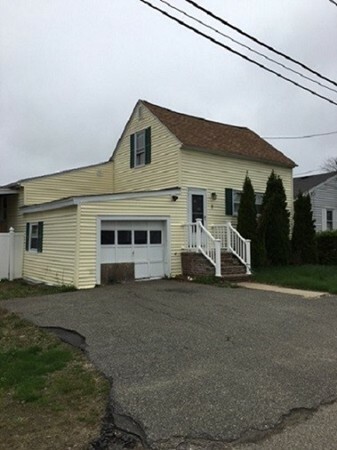 ** PRICE APPROVED at $220,000 BY LENDER*** TERMS TO BE NEGOTIATED BY ATTORNEY**** Cozy starter home with large level yard, 1 car attached garage on quiet dead end street! Needs TLC, but ***Great alternative to condo living! Located minutes from 213, 495, 93, The Loop & Tax free NH! ALL OFFERS MUST HAVE SIGNED DISCLOSURES ATTACHED TO THIS LISTING*** SALE SUBJECT TO SHORT SALE NEGOTIATION FEE OF $5000.00 PAID AT CLOSING BY BUYER *** BUYER & BUYERS AGENT RESPONSIBLE FOR VERIFYING ALL INFO HERE, AS WELL AS SMOKE CERT AND FINAL WATER READING.